Villa comfortably spacious sea view for 8 persons. 4 bedrooms, 2 bathrooms, large kitchen, beautiful terrace, beautiful flower garden, fenced 1800 m² detached villa with space for 4 cars. Easy access to the sea (200 my flight of birds) 4 minute walk. small shops (bread newspapers ...) 2 minutes. The deposit representing 30% of the rental amount. You will not regret a great stay. 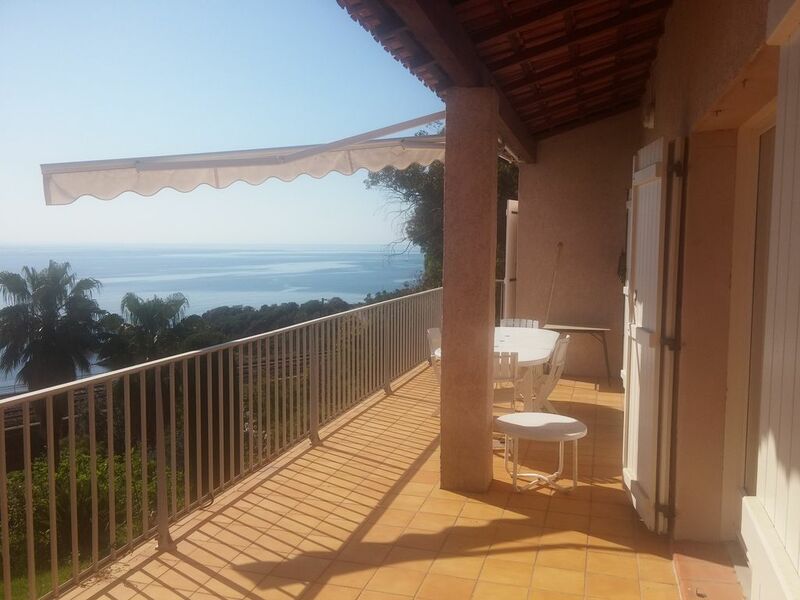 You are close to Menton, Monaco, and 200 meters from the sea.